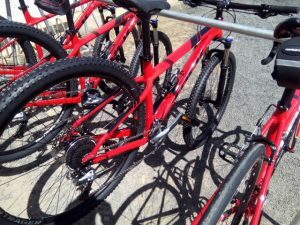 In our Bike Rental you can choose between all different types of bikes; from a comfy Beachcruiser up to great Mountain Bikes – the choice is yours! El Cotillo is surrounded by beautiful new cycling tracks, on which you can ride all the way to Corralejo. For the Mountainbike-Cracks among you, we love to introduce you to the various bike trails, which are worth to rip. 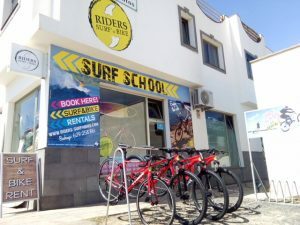 Moreover, you can also rent bikes with surf racks with which you can reach the Surfspots nearby easily. All our Bikes are in top-conditions. The Rental always includes helmets, repair-kits, lockers etc. 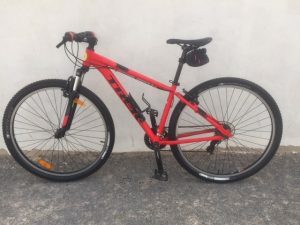 Depending on the duration and type of bike we have different rates. For bigger groups, we offer special deals. 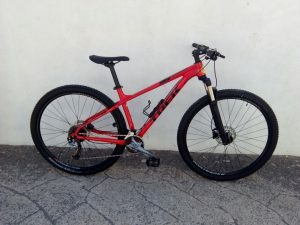 We offer bicycle repair and service. 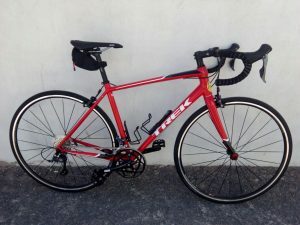 There are also a lot of bicycle accessories and spare parts.